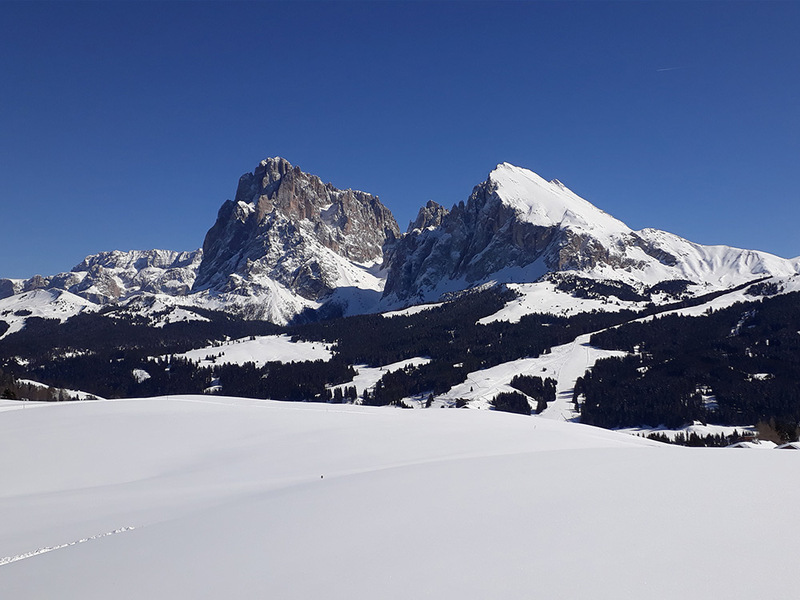 Are you searching for a perfect base for your skiing holidays on the Seiser Alm? Then farm Kienzlhof in Kastelruth is the right place for you. A ski shuttle bus stops directly at the front of our door, so that you have not to take your car to reach the slopes. Our farm is located near a wood, few steps away from Kastelruth. On 1150 m, above the small centre of Kastelruth, you will enjoy peace, a wonderful panorama on the Schlern and its surroundings, while breathing healthy and pure mountain air. That doesn’t mean that Kastelruth is far away from everything: during Christmas you will easily reach the traditional Christmas market in the centre of the village and in January you can take part to the “Kastelruther Bauernhochzeit”, the celebration of the traditional local marriage with rides on horse drawn sleighs. Family Carbon offers to its guests three fully equipped and spacious apartments from 54 to 68 m2 big, ideal for families or groups between 6 and 7 persons. Farm Kienzlhof owns cows, calves, pigs, bunnies and a pony. If one day you won’t be on the slopes, you can help in the stall and know something more about how does local agriculture works together with your children. You can easily reach all winter attractions from Farm Kienzlhof. Only 500 m away from our apartments there is a cross country course. The nearest skating rink is only 1 km away and it is possible to reach it also by foot. The Völser Weiher offers also another good option to skate. 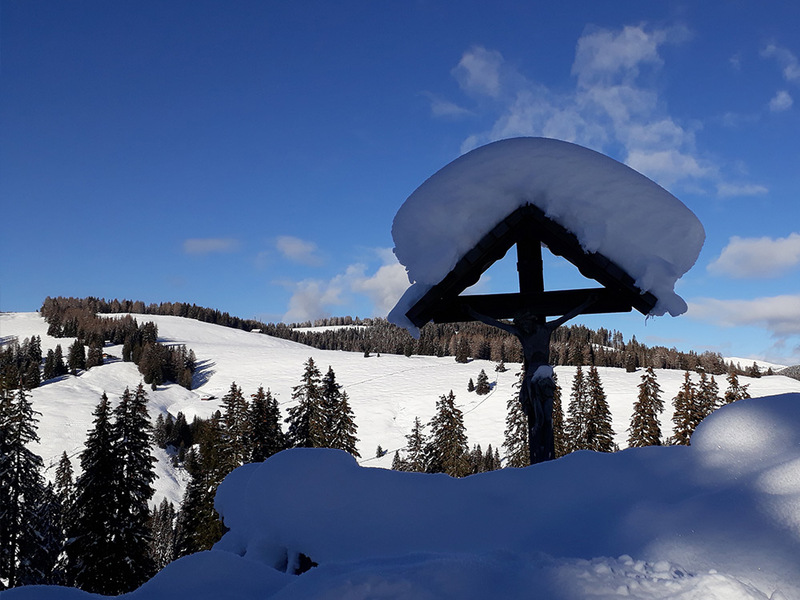 From the village of Seis am Schlern, only 6 km away from farm Kienzlhof, you can take directly the Seiser Alm cable car to reach the heart of Seiser Alm skiing area. Shuttle buses and city buses will bring you directly in front of the Seiser Alm cable car. The Seiser Alm skiing area has 60 slopes: 18 beginners slopes, 40 advanced slopes and 2 for experts. 80 km of cross country course and the Snowpark Seiser Alm for snowboarders complete the winter offer. Around Seiser Alm there are a lot of demanding ski tours like the “Rosengarten” touror the “Plattkofel” tour. Tobogganing is also a good way to have fun during winter. What about go sledding under the moonlight on the 2 km long path Puflatsch or a funny family sledding party on the panoramic trail?